Pressure is what brought Iran to the negotiating table in the first place, and only more pressure will get [them] to abandon their nuclear weapons program. Greater pressure on Iran will not make war more likely; it will make war less likely — because the greater the pressure on Iran and more credible the threat of force on Iran, the smaller chance that force will ever have to be used. Netanyahu made a case for the peace process, noting that peace with the Palestinians would open up the possibility of establishing formal ties between Israel and the Arab world, leading to great economic and other gains in the region. Today the singling out of the Jewish people has turned into the singling out of the Jewish state… attempts to boycott, divest, and sanction Israel, the most threatened democracy on Earth, are simply the latest chapter in the long and dark history of anti-Semitism. Those who wear the BDS label should be treated exactly as we treat any anti-Semite or bigot. They should be exposed and condemned. The boycotters should be boycotted. Everyone should know what the letters B-D-S really stand for: bigotry, dishonesty and shame. And those who oppose BDS, like Scarlett Johansson, they should be applauded. Today, as Israel faces serious challenges to her future, it is America that will stand firmly by her side. I will tell you that with the leadership of President Obama — and you can look it up, you can measure it; this is not an exaggeration, it’s a matter of fact — there has been a complete, unmatched commitment to Israel’s security. The record of this Administration in providing aid and assistance, consultation, weapons, help, standing up in various international fora, fighting, I am proud to tell you, is unrivaled. And the bottom line, pure and simple, has been making sure that Israel has the means to defend itself by itself and defending Israel’s right to be able to do so. That is what we’ve done. Security. Security is fundamentally what President Obama is committed to. And so too is he committed to using the full force of our diplomacy to resolve the two great questions that most matter when it comes to ensuring the security of Israel: preventing a nuclear Iran and ending the Israeli-Palestinian conflict. Norm, thank you. Thank you very, very much. Thank you all, 14,000 strong or more. (Applause.) Howard, Howard Friedman and Executive Director Howard Kohr, incoming president Bob Cohen, incoming chairman Michael Kassen, outgoing chairman Lee Rosenberg, and Ambassador Ron Dermer and Ambassador Dan Shapiro. I don’t know where our ambassadors are. Would they — somebody ought to applaud both of them here. (Applause.) There they are. Thanks for your own, Norman. Let me tell you, it really is an enormous pleasure for me to be able to be here. It’s a privilege. And good to see so many friends, all 14,000 of you — a little frightening to see myself on about eight, nine, ten screens up here — (laughter). The last time I spoke to AIPAC, I joined your national summit in Napa Valley. I did it via satellite. And you were in the vineyards, I was overseas — a different kind of vineyard. So today, I think I’m getting the better end of the deal because I am here with you in person, and your wine selection is a lot more limited this time. I want you to know that in my judgment, these democratic values are stamped in the DNA of both the United States and Israel. But we also share something much deeper than that. Like no other two countries on the planet, against the deepest odds, both America and Israel confidently, purposefully set out to be examples to the world. Think about it. From its earliest days, Israel has always said it’s not enough just to be one of many in a community of nations; Israel has strove since Isaiah’s time to serve as a light unto the nations. (Applause.) And that responsibility to be a light unto the nations sounds actually unbelievably similar to something that we as Americans know is part of who we are, too. My grandfather ten times over — too hard to count in other terms — was a man by the name of John Winthrop. And he came to what was then the New World, and he came in search of freedom, freedom to worship as he wished. He was a minister. He and his congregants were outcasts, persecuted, heading into a rough and unforgiving land with no guarantee even of survival. And on his way here, he delivered a now fairly famous sermon at sea in which he called on his community to create a city upon a hill in their new home, America. We will not permit Iran to obtain a nuclear weapon, period. So we say — President Obama and myself and others — we say let’s seize the diplomatic moment. And that’s what we are trying to do. And the truth is it is strong diplomacy that has actually made this moment possible. And we need to give it the space to work. We need to make sure that if this opportunity were to elude us, it is not because we are the ones that close the window. Now, we have taken no options off the table, but so far there is no question but that tough sanctions and strong diplomacy are already making Israel and America safer. The first step agreement, the first step agreement — it’s not an interim agreement, it’s a first step agreement — and the agreement that’s in force today didn’t just halt the advance of the Iranian nuclear program for the first time in a decade; it’s actually rolled it back. And we all remember how Prime Minister Netanyahu highlighted Iran’s 20 percent enriched uranium in the 2012 speech at the United Nations. Well, today Iran is reducing its stockpile of 20 percent uranium. And without the agreement in force today, the opposite would have been in effect. The stockpile would have grown even more dangerous, and the amount of breakout time that they have would have grown smaller. Because of the agreement, Iran will soon have to take its entire stock of 20 percent enriched uranium down to zero. Zero. Zero. (Applause.) You don’t have to be a math major to know that Israel is safer when Iran has zero uranium enriched to 20 percent, and that’s what we’ve achieved. Now, right now we are carefully — and I mean carefully — negotiating a comprehensive agreement. We are consulting with our friends in Israel constantly. The minute Under Secretary Wendy Sherman finished her last set of meetings in Vienna the other day, she went immediately to Israel, briefed thoroughly on the talks, then went to Saudi Arabia and the United Arab Emirates and continued to brief and briefed our European partners. You might be asking: If no deal is better than a bad deal, what does the United States consider a good deal? Well, you have my word — and the President’s — that the United States will only sign an agreement that answers three critical questions the right way. First, will it make certain that Iran cannot obtain a nuclear weapon? Second, can it continuously assure the world that Iran’s program remains entirely peaceful as it claims? And third, will the agreement increase our visibility on the nuclear program and expand the breakout time so that if they were to try to go for a bomb, we know we will have time to act? My friends, I also believe that we are at a point in history that requires the United States as Israel’s closest friend and the world’s preeminent power to do everything we can to help end this conflict once and for all. Now, that is why America — (applause) — that is why America helped bring the parties back to the table, where, let’s be honest, Israelis and Palestinians have difficult choices to make. And no one understands just how complex those choices are or how emotional they are better than the leaders who have to summon the courage in order to actually make them. Thus far, I will tell you also that President Abbas, and I know there are many doubters here — I’ve heard the arguments for 30-plus years, 40 years — that there’s no partner for peace, that Abbas won’t be there, that — both sides, by the way, say the same thing about each other. That’s one of the difficulties we have to try get through here. A very small needle to try to thread in terms of the trust deficit. Thus far, President Abbas, I will tell you, has demonstrated he wants to be a partner for peace. He’s committed to trying to end the conflict in all of its claims, but he obviously has a point of view about what’s fair and how he can do that. Let’s be candid. I know that some of you doubt that. But as Israeli security officials will attest, President Abbas has been genuinely committed against violence, and his own security forces have worked closely with Israel in order to prevent violence against Israeli citizens. My friends, we understand that Israel has to be strong in order to make peace. But we also understand that peace will make Israel stronger. Any peace agreement must also guarantee Israel’s identity as a Jewish homeland. (Applause.) As Ehud Barak said on this stage last year, a two-state solution is the only way for Israel to stay true to its founding principles — to remain both Jewish and democratic. At last year’s AIPAC conference, he said statehood is not a favor for the Palestinians, and let me reaffirm: He is right; it is not. Finally, peace demands that Israel fulfill its destiny not just as a nation but also as a neighbor. And that begins with the Palestinians, and it extends to the entire Arab League whose Arab Peace Initiative can open the door to peace and normalized relations with 20 additional Arab countries and a total of 55 Muslim countries. The upheaval in the Middle East has shown us all that Arabs and Israelis share some of the very same security concerns. Without the Palestinian conflict to divide them, these common interests can grow into real relationships and transform Israel’s standing in the region. And I just invite you — I promise you these conversations take place. I’ve had them throughout the Gulf region, throughout the Middle East, where increasingly those countries begin to see the possibilities of mutual security interests coming together for all of them against an Iran, against terrorism, against religious extremism. This is a commonality that is a new thread in the region, and I believe it brings the potential of new possibilities. It will take hard work. I’m not pretending any of the answers — these are all narrative issues. They’re tough issues. They complicated. But there is a vision of peace, and it takes tough choices on both sides, especially over the coming days. I guarantee you that America, that President Obama and this Administration will be there every day of the week, every step of the way. And we will stand with Israel’s leaders today and with the leaders of the future. And we will ensure that our light shines not just throughout the nations, but throughout the generations. Leaders like a fellow named Guy — I’ll leave his last name out — but he’s a young Israeli who took part in an exchange program with the State Department, sponsors that brings Israelis and Palestinians together to talk about their histories and their hopes. Guy’s grandparents fled Europe. He was born and raised in Jerusalem. He served in the IDF. And he worked as an entrepreneur in Israel’s booming tech industry. And this is what he said in that program: We respect our past, but we don’t want to live it. We are young enough to dream, to believe that change is possible, and that fear can be defeated. He almost — I think it was the first time I went to Israel. I spent a week there and went all over the country and like many first-time visitors, I climbed Masada. I climbed it with a guide — some of you may know him or heard of him, a fellow by the name of Yadin Roman. Yadin, the publisher of Eretz Israel. And our group debated Josephus Flavius’s account of what happened on the top of that mountain, the account of what happened 2,000 years before we were there. Since its founding six years ago, J Street has emerged as a major Jewish organization under the banner “Pro-Israel, Pro-Peace.” By now J Street is able to be a partial counterweight to AIPAC, the American Israel Public Affairs Committee. The contrast between the two U.S. groups is sometimes stark. 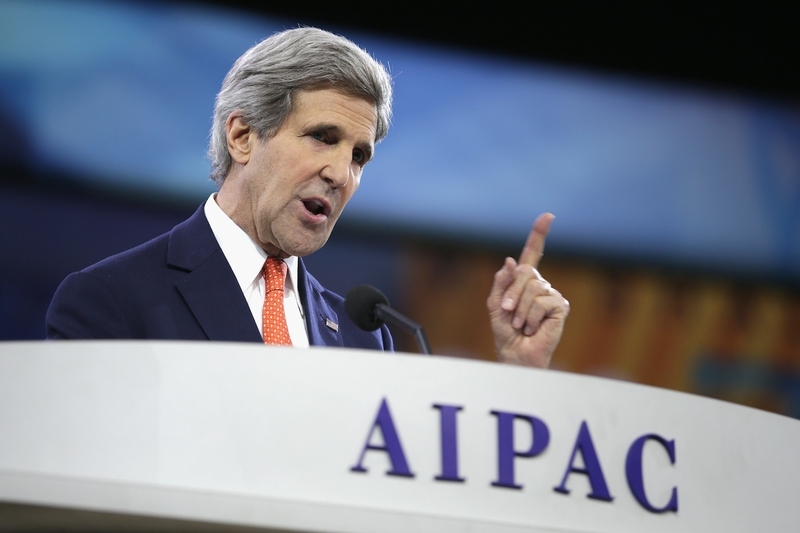 J Street applauds diplomacy with Iran, while AIPAC works to undermine it. J Street encourages U.S. support for “the peace process” between Israel and the Palestinian Authority, while AIPAC opposes any meaningful Israeli concessions. In the pressure cooker of Washington politics, J Street’s emergence has been mostly positive. But what does its motto “Pro-Israel, Pro-Peace” really mean? That question calls for grasping the context of Zionism among Jews in the United States; aspects of history, largely obscured and left to archives, that can shed light on J Street’s current political role. Extolling President Obama’s policies while urging him to intensify efforts to resolve Israeli-Palestinian conflicts, the organization has staked out positions apt to sound humanistic and fresh. Yet J Street’s leaders are far from the first prominent American Jews who have struggled to square the circles of the moral contradictions of a “Jewish state” in Palestine. Our research in the archives of the American Jewish Committee in New York City, Johns Hopkins University and elsewhere shows that J Street is adhering to, and working to reinforce, limits that major Jewish organizations adopted midway through the 20th century. Momentum for creation of the State of Israel required some hard choices for groups such as the influential AJC, which adjusted to the triumph of an ideology — militant Jewish nationalism — that it did not share. Such accommodation meant acceding to an outward consensus while suppressing debate on its implications within Jewish communities in the United States. A January 1948 position paper in AJC records spoke of “extreme Zionists” then ascendant among Jews in Palestine and the United States: The paper warned that they served “no less monstrosity than the idol of the State as the complete master not only over its own immediate subjects but also over every living Jewish body and soul the world over, beyond any consideration of good or evil. This mentality and program is the diametrical opposite to that of the American Jewish Committee.” The confidential document warned of “moral and political repercussions which may deeply affect both the Jewish position outside Palestine, and the character of the Jewish state in Palestine.” Such worries became more furtive after Israel became a nation later in 1948. Privately, some leaders held out hope that constraints on public debate could coexist with continuing debate inside Jewish institutions. In 1950 the president of the American Jewish Committee, Jacob Blaustein, wrote in a letter to the head of an anti-Zionist organization, the American Council for Judaism, that the silencing of public dissent would not preclude discussion within the Yiddish-language and Jewish press. In effect, Blaustein contended that vigorous dialogue could continue among Jews but should be inaudible to gentiles. However, the mask of American Jewry would soon become its face. Concerns about growing Jewish nationalism became marginal, then unmentionable. The recent dispute in the Jewish student group Hillel, about whether its leadership can ban Hillel chapters on U.S. college campuses from hosting severe critics of Israeli policies, emerged from a long history of pressure on American Jews to accept Zionism and a “Jewish state” as integral to Judaism. The Jewish students now pushing to widen the bounds of acceptable discourse are challenging powerful legacies of conformity. As decades passed after the June 1967 war, while the Israeli occupation of the West Bank and Gaza wore on, younger American Jews slowly became less inclined to automatically support Israeli policies. Now, 65 years after the founding of Israel, the historic realities of displacement, traumatic for Palestinians while triumphant for many Jewish Israelis, haunt the territorial present that J Street seeks to navigate. Like the Obama administration, J Street is steadfast in advocating a “two-state solution” while trying to thwart the right-wing forces led by Prime Minister Benjamin Netanyahu. A goal is to reduce his leverage by altering the political environment he encounters in the United States, where AIPAC, riding high astride much of the U.S. Congress, is aligned with the hard right of Israeli politics. In contrast, J Street is aligned with a fuzzy center that copes with cognitive dissonance by embracing humane rhetoric about Palestinians while upholding subjugation of Palestinians’ rights. His official J Street bio says that “Ben-Ami’s family connection to Israel goes back 130 years to the first aliyah when his great-grandparents were among the first settlers in Petah Tikva [near present-day Tel Aviv]. His grandparents were one of the founding families of Tel Aviv, and his father was an activist and leader in the Irgun, working for Israel’s independence and on the rescue of European Jews before and during World War II.” Readers are left to ponder the reference to leadership of the ultranationalist Irgun, given its undisputed terrorist violence. J Street is aligned with more “moderate” personalities in Israeli politics, but what is considered moderate Zionism in Israel may not match sensibilities outside Israel. On a J Street-sponsored U.S. speaking tour, Knesset member Adi Koll said she is pleased that Palestinian refugees from 1948 are dying off, which she portrayed as good for peace: “This is what we have been waiting for, for more and more of them to die,” to finalize the War of Independence expulsion of Palestinians. J Street’s Ben-Ami has warned of “the ‘one state nightmare,’ a minority of Jewish Israelis in a state with a majority of non-Jewish residents.” For J Street, an embrace of perpetual Jewish dominance as imperative seems to be a litmus test before any criticism of the occupation is to be deemed legitimate. Two days later, on December 7, at a Saban Center gathering in Washington, Kerry joined with President Obama in paying tribute to the idea of a nation for Jews. Obama endorsed the goal of protecting “Israel as a Jewish state.” He sat for an interview with billionaire Zionist Haim Saban, who joked: “Very obedient president I have here today!” For his part, Kerry addressed Israeli ethnic anxiety by urging that Israel heed U.S. advice for withdrawal from some territory, to defuse what he called the “demographic time bomb,” non-Jewish births, threatening the existence of a “Jewish and democratic” state. J Street’s statement, titled “Enough of Silence,” eerily mirrored the brutal asymmetry of the warfare then raging and, for that matter, the asymmetry of the entire Israeli-Palestinian conflict. While far more Palestinians than Israelis were dying (87 Palestinian and four Israeli noncombatants lost their lives, according to a report from the human-rights group B’Tselem), J Street condemned the killing by Palestinians but merely questioned the ultimate efficacy of the killing by Israelis. While J Street was appropriately repulsed by the bloodshed, it could not plead for reversal of the underlying, continuing injustice beyond its advocacy of a two-state solution. During the years ahead, J Street is likely to be instrumental in establishing and reinforcing such red lines. J Street is striving to support Israel differently than AIPAC by fostering the more peaceful, humane streams of Zionism. Among new generations of U.S. Jews, the Zionist rationales for Israel as a whole are losing ground. In a 2013 Pew Research Center study, 93 percent of American Jews state they are proud of being part of the Jewish people, but only 43 percent say that “caring about” the State of Israel is essential to being a Jew, and the figure drops to 32 percent of respondents under 30 years old. In a talk five decades ago at Hillel House at the University of Chicago, philosopher Leo Strauss mentioned that Leon Pinsker’s Zionist manifesto “Autoemancipation,” published in 1882, quotes the classic Hillel statement “If I am not for myself, who will be for me? And if not now, when?” but leaves out the middle of the sequence, “If I am only for myself, what am I?” “The omission of these words,” Strauss said, “is the definition of pureblooded political Zionism.” The full integrity of Rabbi Hillel’s complete statement, urging Jews not to be “only for myself,” is explicit in the avowed mission of J Street.